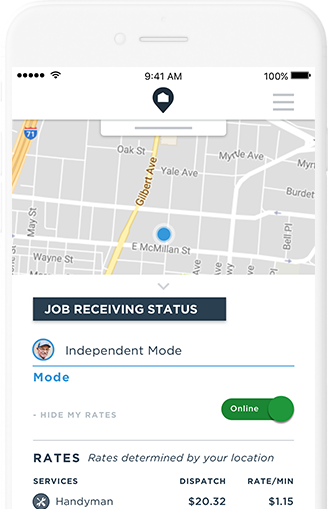 Get immediate access to handyman, plumbing, HVAC and electrical jobs in real time with Homee On Demand Pro. Get the Homee On Demand Pro app from the App Store or Google Play and register your account. Once registered, you work whenever you want. Just switch your status from offline to online in the app and start making money. Take on-demand jobs 24/7/365 and get paid within 72 hours of the job’s completion. It’s that easy. Ready to stop worrying about leads and referrals? Homee gives you on-demand access to jobs across residential and commercial properties in real time so you can work when you want. Provide your services independently or create a company profile, assemble your crew and allow them to take jobs. Monitor jobs and crewmembers in real time right from your smartphone. Stop chasing payment from unreliable customers. 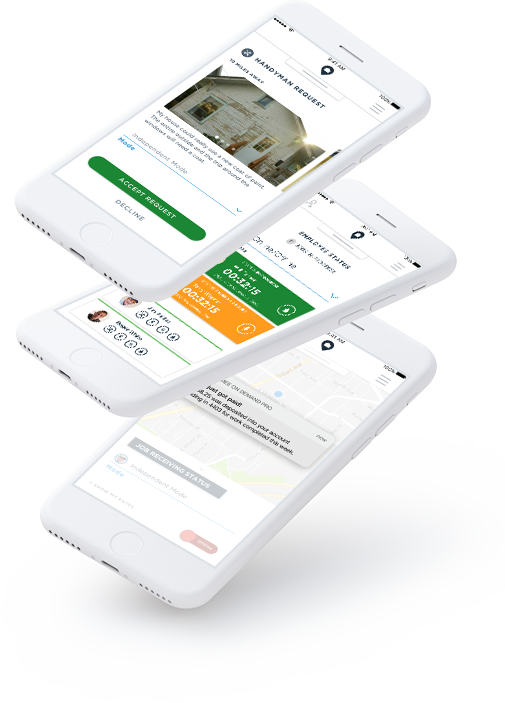 With Homee, you’ll get paid via direct deposit within 72 hours of job completion. Yes, we’re serious. I have been in the trades for over 25 years. Since then, I recently started working with similar companies, but I must say, none compare to Homee. They stand miles above the rest. They are very friendly and easy to work with. Their rates are the best and they pay on time. As a business owner, I highly recommend Homee On Demand. They have provided us several jobs since we started using them. The app works great and is super easy to use. Let me start by saying what a wonderful company to work with! Not only is the work flow steady, but it’s a very professional organization. The management team that I work with does such an amazing job. I recommend this company to any individual that’s ready to grow with an organization. Thank you Homee for the great changes in my life! General liability insurance available through CoverWallet. Questions? Talk with Our Vendor Success Team.